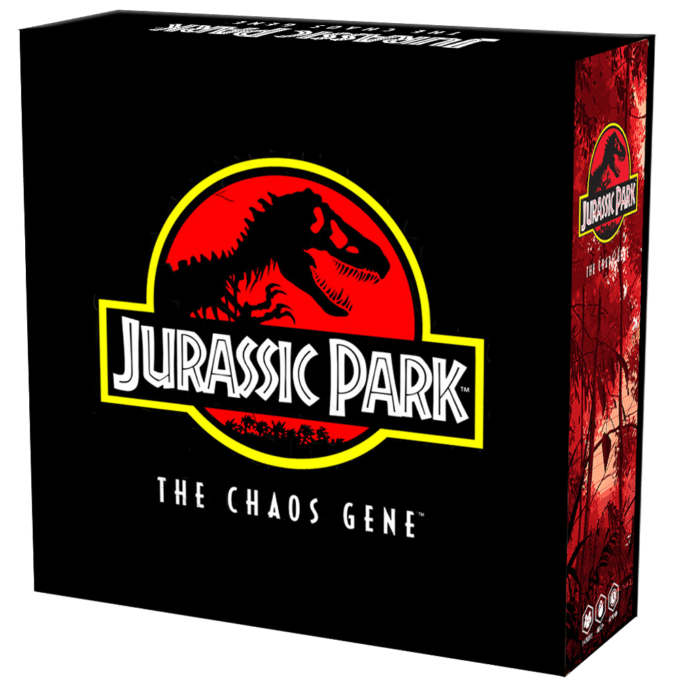 Mondo has grown its brand in recent years, including gaming, and for Comic-Con International 2018 they are ready to debut a brand new table-top game; Jurassic Park: The Chaos Gene. After striking it big in the geek community with their first game based on The Thing, Mondo decided to stay in the movie realm by taking on Jurassic Park in celebration of its 25th Anniversary. In the upcoming asymmetrical miniatures tabletop game, you’ll take control of a faction in the famed park and do whatever it takes to win. And yes, this includes taking control of dinosaurs. 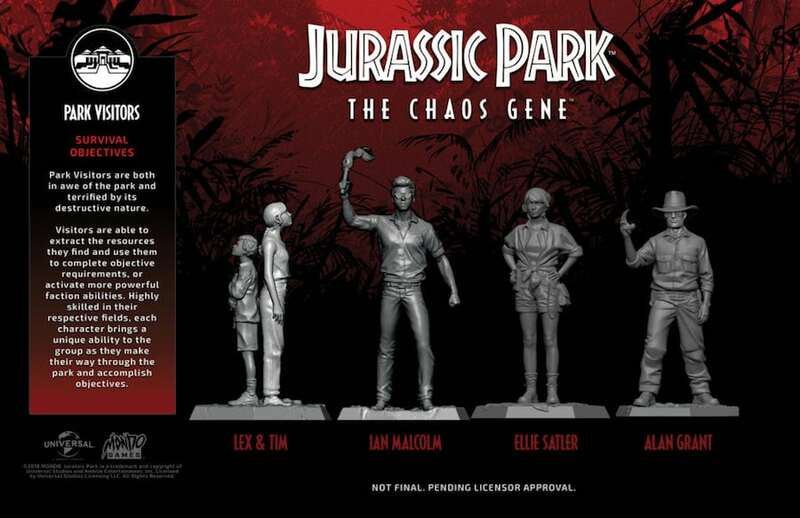 To play, you and up to three friends choose one of four factions – InGen, park visitors, raptors, or T. Rex. 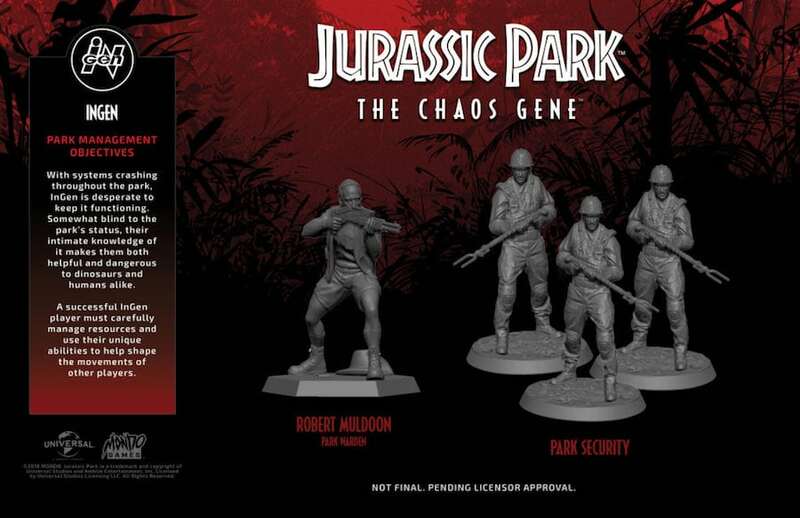 From there, you play based on that faction’s intentions, with InGen doing what it takes to keep the park running, the park visitors invited by John Hammond trying to survive, raptors seeking and destroying, and T. Rex just devouring the others. 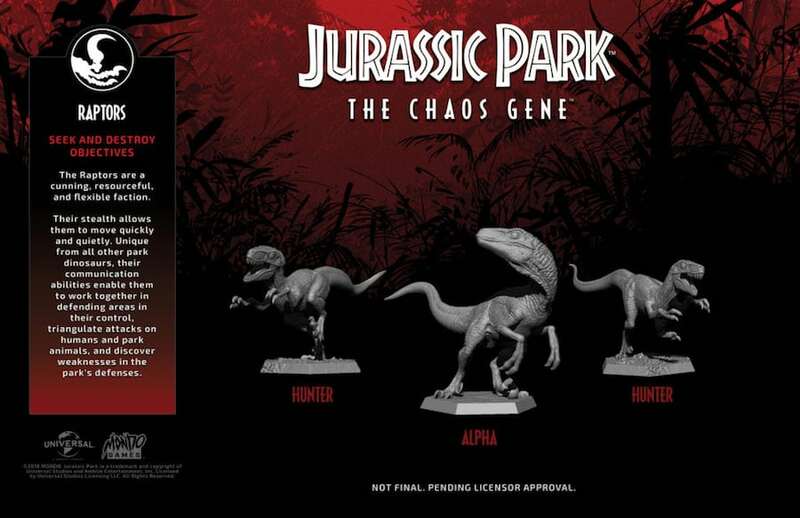 Exactly what you’d want in a Jurassic Park game. 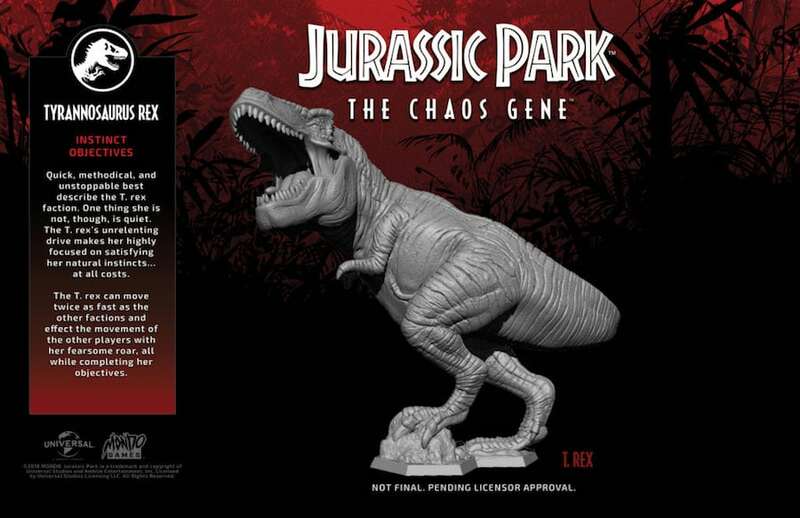 Jurassic Park: The Chaos Gene is planned for a fall release on Mondo’s website and on the shelves of local retailers. But again, if you’re at Comic-Con International in San Diego later this month you can get an early peak at the new game at Mondo Booth #425. Mondo provided an exclusive first look at this game to Nerdist on July 12th.